When you have a lot of designs like circles, diamonds and dots, they work perfectly to brighten up our personal checks with shapes. Lines that curve, lines that go straight, lines that shape themselves into things we recognize, such as flowers and scrolls, all show up in this collection of personal checks. Polka dots checks? Of course. What collection of checks called "Shapes" could possible overlook the all-time favorite? Find them scattered in tones of the same color, mixed up in kaleidoscope fashion with circles within circles or randomly spinning out of control here and there. Stylized daisies in neon tones are scattered across one set of these artistic checks, while a less defined posy, the artwork of Deb Eiseman, decorates another. Did you know you can save up to 70% off standard bank check prices when you order checks online from Value Checks? Plus, our high quality check printing machines also offer the best check security. With easy online ordering, your artistic shapes checks will come to you through the mail. 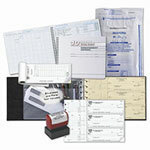 Enjoy many shapes checks in matching checkbook covers and address labels.